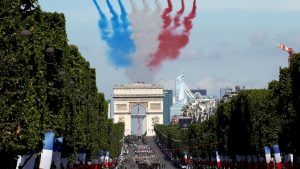 While you are sweltering in the Heatwave (la canicule in French) remember that July 14 sees the National Feast of France when we celebrate Liberty, Equality and Fraternity and the fact that you are Citizen of the Republic and not subject of some King. So, to celebrate this (not that we need much excuse to celebrate) the Alliance Francaise of Kilkenny are gathering in Beaujolais Wine Bar (at the back of Daniel Bollard’s Pub in Kieran St.) at 8.30pm on Saturday 14th July to meet and mingle. The cost is €5 for which you get a plate of mixed cold meats and cheese, and should you wish to, you can treat yourself to some of the extensive wine and beer selections. Our President will say a few words of welcome and we’ll see how the evening pans out. Now we know that you might prefer dancing on some village square in France on that day, but if you can’t do that, the next best thing is Beaujolais on Saturday night. And with this heatwave you’ll think you are in France. So come along if you are interested. Keep this date for your diary: Tuesday 4th September ( 19.00 to 21.00 in the Club House Hotel also) which is the enrolment night for our next term. 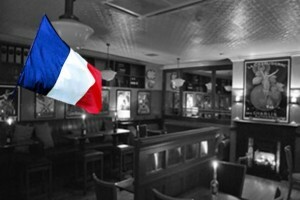 Celebrate Bastille Day in Kilkenny! So, enjoy la canicule and Bonne Fete!